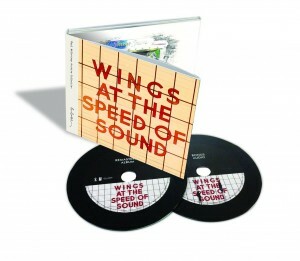 While SuperDeluxeEdition waits for the deluxe book version of Paul McCartney’s newly released Wings at the Speed of Sound reissue to arrive (from Amazon Canada) we thought it would be a good idea to at least have a look at the bonus audio which is included with the two-CD edition. Seven bonus tracks are offered which total 21 minutes. Given that the album is just 46 minutes long, you don’t need a calculator to realise that all the music could easily fit on one CD. 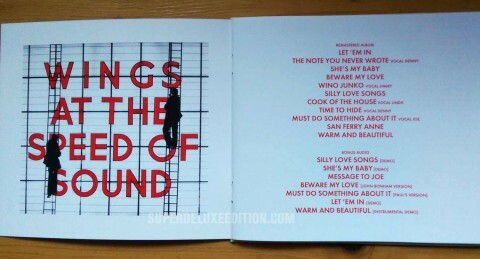 None of the Archive Collection reissues to date have appended any bonus material to the albums, so while this is consistent, it does mean the bonus disc is effectively CD-single length, with little over a quarter of the ‘red book’ CD capacity filled. Hmm. 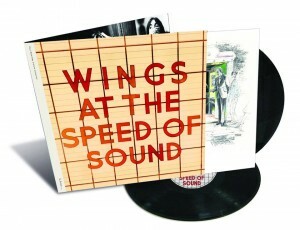 Also, lest we forget, the original Wings at the Speed of Sound CD issued in the 1980s already had about 10 minutes worth of bonus material (repeated on the 1993 Paul McCartney Collection reissues). Interestingly, all three of those original bonus songs have now moved over to the Venus and Mars reissue (Walking in the Park with Eloise, Bridge Over The River Suite and Sally G) but nevertheless nearly 30 years after the CD debut we have a net gain of just 11 minutes worth of bonus audio. Given that Paul’s manager, Scott Rodger, stated back in the summer of 2012 that Paul’s company MPL had 10 people working full time digitally archiving every image, every piece of audio and every video footage – and at that point they’d been working for 2 years “with no end in sight” – you have to ask, could they really only find 20 minutes of audio to go with Wings at the Speed of Sound studio album? Or is material being held back for a future rarities box set? This ‘track’ is 23 seconds of Paul messing around with a vocoder. He’s talking to drummer Joe English, hence ‘Message To Joe’. I don’t have a problem with silly snippets like this but really should have been a ‘hidden’ bit of audio. RT: 23 secs. And that’s it. Decent, but fairly slight. Given that the DVD with the 2CD+DVD deluxe book version is also fairly light in terms of content, you gotta hope those books are worth an extra £60!! 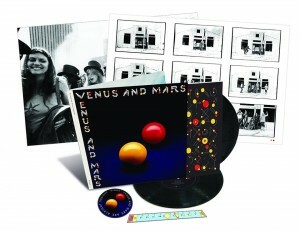 Later this week we’ll look at Venus and Mars bonus audio. Both Archive Collection reissues are out now. It’s the last time I order from Amazon Canada. I have just received both deluxe sets and have paid an extra 32 GBP = 41Euro for Customs duties. Exactly the same happened to me, Amazon should foot the bill not us! Paul…uh,……I’m running out of time…….. 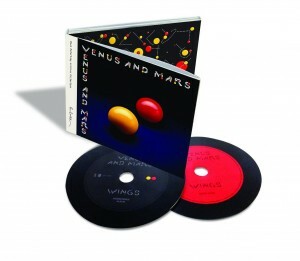 I just want to say… The Macca reissues of Venus & Mars and Wings At The a Speed Of Sound, in my opinion, are great for what they turned out to be. I was a bit surprised by the increased track count of bonus material on V&M (14 tracks as opposed to 7-8). I was also surprised that Paul offered free downloads of unreleased material from that album era that didn’t appear (and could’ve appeared) on the set, but that’s ok. I don’t mind that at all. The only other omission is a 12″ Party Mix of “My Carnival” (probably the wildest version of the song), which could’ve been the last track of the V&M bonus audio disc after the single edit of “Letting Go”… but I’ll take it for what it is. On the WATSOS side, I have a theory of why the bonus audio disc lasts 21 minutes. There must not have been a lot of material from sessions for that album, so those seven tracks were all we got. They may not have been much, but to me it was plenty. I did hear about another version of the WATSOS album track “The Note You Never Wrote” that featured Paul with Denny Laine on vocals that was slated to appear on the rumored (and supposedly scrapped) “Cold Cuts” boxed set. Well, that version is not on the WATSOS bonus audio disc; it must’ve been lost or forgotten. We’ll never know. 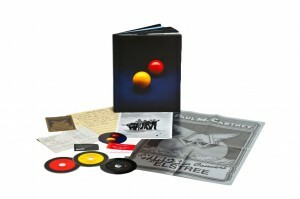 Of course, the Paul McCartney Archive Collection program is no stranger to shortage of bonus audio material: that’s happened before with the reissue of 1970’s McCartney, where we got only seven tracks of half unreleased material from that period and the other half live versions of tracks from that album (three 1979 live recordings included). Didn’t mind all of that either. I have a very bad experience with Amazon Ca. All those were stucked on a “Not in stock. Shipping date unknown. We’ll let you know” state. While at the same time the same items were listed “In stock” on other pages on the site, but at full price. Many weeks after release date, still no shipping announced for Starless or Queen. I finally cancelled everything and re-ordered Starless on Amazon UK (for the amazing same price), and got it delivered the day after ! I bought my two Maccas in the local shop. (at full price, but I least I can enjoy them). Paul I presume you ordered from Canada to get a better price ? Do you not get free review copies sent to you ? I ordered from Amazon UK and they were delivered on Sunday – the day before release. This has happened for a few albums now. The books are excellent- coffee table books in fact – but for someone who has such extensive vaults the bonus audio CD is poor in length. You don’t get much more background info on the extra tracks other than credits. The Bonham track was remixed in 2011- so clearly under preparation for some time ! Indeed. Ordered both deluxes and both vinyl sets which came in at just under £100. Nothing has shipped yet, but I presuming they will at some point without any issues. In terms of review copies, you’d think they might send me some deluxe sets wouldn’t you? Go, as they say, ‘figure’. As I mentioned elsewhere – while the books are lovely (especially the black glossy Venus and Mars), I’m disappointed that they have veered away from the ‘rough material’ packaging used on the deluxe editions so far. I was quite liking the way that they managed to look harmonious despite the different widths (over America is a real beast). These two releases look very different (and I suspect all subsequent releases in the programme will look like this). 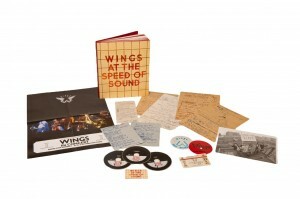 While I look forward to receiving my 2-disc versions of the Wings reissues, I know even before they arrive and before I read this article that I’m not going to be bowled over by the packaging. I adore McCartney and I’ve said before, had high hopes on these reissues. He’s always been quality-minded with his work (take a look at the 4-disc version of Good Evening New York or the 2010 reissue of Band On The Run; for the money these packages were superb). It just seems that something is being held back and I can’t explain it.. The deluxe RAM box from 2012 was perfect for its presentation and quality but as for bonus tracks, again it lacked even the web-only tracks?!? When you pay £100 for an album set you want the complete works! I rant, I moan, I’m sorry. I love physical albums, I love McCartney and I want to have a complete library of his albums as good as they can be. 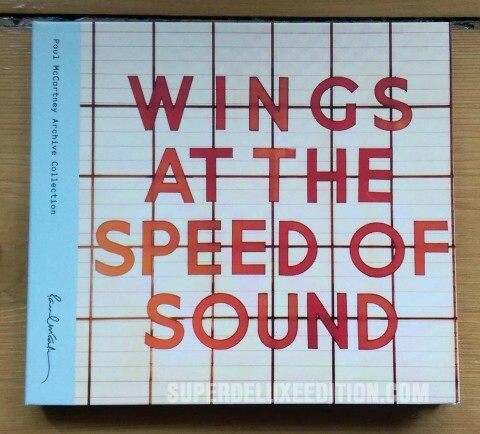 Whilst I can’t afford all the super deluxe editions of all his works, (I bought McCartney I & II with some birthday money in 2011 and was very impressed I should say) but the price of the Speed Of Sound deluxe version does beggar belief. Amazon are charging £77.99 as I write. For 67 minutes of audio, a brief DVD and a book. Yes, the book looks stunning. But to charge over £50 for it seems… excessive. Considering there’s Venus And Mars to buy too. That’s nearly £160 for 2 albums!! I’d rather they scale the size of the book down, save costs and sell more copies to all ranges of fans, not just the super fans with the funds to spend every year on the sets. They must do something about it. Before we do. I wonder why they haven’t released the single cd edition as in previous releases (as well as most of Universal’s reissues). Anyway, ¿what about the sound quality? Sooooo disapponted with this double set . Ive been waiting ages for this cd with great extras only to get these tracks with no explanations ! This was a huge Wings album and deserves a lot more . Books are fine and Im also waiting for mine to arrive but surely its about the music ? I feel there is too much of a gap in price and content between the 2CD and the deluxe. If you don’t buy the deluxe you get literally none of the ‘story’. No notes, essays or annotations. It’s not like the 2CD set is £8, they’re £15. So you’re paying £15 for one CD’s worth of content (across two discs) and lyrics and photos. Only 21 minutes of audio you’re never heard. If you compare that to the average Edsel (e.g. Wedding Present) it’s a bit of a joke. The book version is awesome. It is a variation on the Mc1/2 BOTR style in that it is a clossy full sleeve rather than a print mounted on cloth and so is VAM. VAM is the best version I have ever heard it, without that drop out between VAM and Rockshow which I always thought made it sound a weedy intro. As I have stated before, these sets are for readers, not listeners. Pass. A agree the books are pretty special. Mine is on the way soon, hopefully! The books *are* quite impressive. Almost over-packed and too bulky. Actually, just looking at them you can understand they had ‘production problems’ with them? They even had to develop a special/custom-made cardboard frame to protect them for shipping.